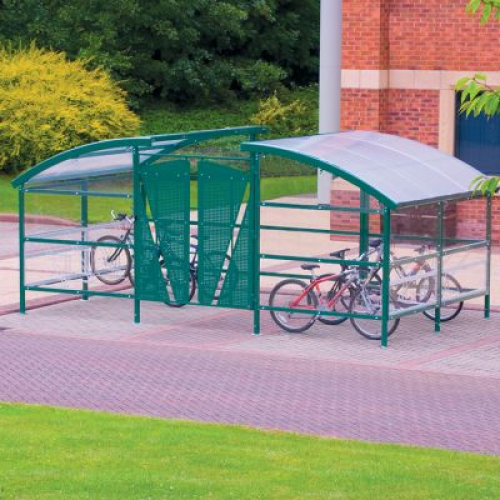 A spacious and attractive bike shelter with enough room to house up to 48 bikes. This shelter is also available with a canopy in the middle (see related products). The roof panels are made from UV resistant opaque polycarbonate. Installation is available - please get in contact to enquire.